HI-733-25 Ammonia High Range Checker Reagent Pack. This 24 pack of reagents is for use with the HI-733 Ammonia High Range Pocket Checker. HI-700-25 Ammonia Low Range Checker Reagent Pack. This 25 pack of reagents is for use with the HI-700 Ammonia Low Range Pocket Checker. HI-715-25 Ammonia Medium Range Checker Reagent Pack. This 25 pack of reagents is for use with the HI-715 Ammonia Medium Range Pocket Checker. HI-716-25 Bromine Checker Reagent Pack. This 25 pack of reagents is for use with the HI-716 Bromine Pocket Checker. HI-739-26 Fluoride High Range Checker Reagent Pack. 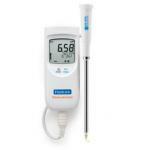 This 30 pack of reagents is for use with the HI-739 Fluoride High Range Pocket Checker. HI-729-26 Fluoride Low Range Checker Reagent Pack. 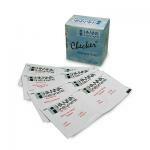 This 20 pack of reagents is for use with the HI-729 Fluoride Low Range Pocket Checker. HI-717-25 Phosphate High Range Checker Reagent Pack. This 25 pack of reagents is for use with the HI-717 Phosphate High Range Pocket Checker. 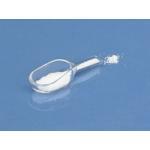 HI-713-25 Phosphate Low Range Checker Reagent Pack. This 25 pack of reagents is for use with the HI-713 Phosphate Low Range Pocket Checker.